I spent the last two decades watching the Super Bowl at parties, big parties and small parties. I now considered myself somewhat of an expert on what makes a great Super Bowl party – and what doesn’t. First and foremost, have at least two large (60” or bigger) HD televisions. A must. Don’t get too fancy. No one wants your grandmother’s famous casserole recipe. And don’t serve food that’s hard to hold sitting without a table. 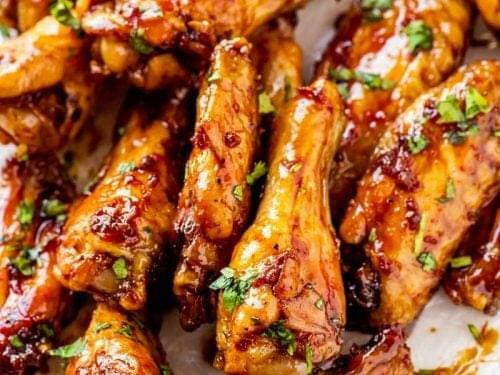 Chicken wings are a must. Serve sliders and a variety of chips with a dip. Forget sweets. Cakes and beer . . . aaaaarghhh that sounds awful. The less variety, the sooner those not interested in the game will leave and you can enjoy the game more. The NBA is looking more and more like the Harlem Globetrotters and sad sack Generals every day. While the NBA has always been a league of a few “haves” and a bunch of “have-nots,” it seems more obvious these days than ever. Blame it on 24/7/365 sports coverage and social media. Antony Davis, one of the best five players on the planet, is now demanding a trade from lowly New Orleans to a contender– or at least a team that has LeBron James. The superstars have been getting together for years. It used to be two was enough. Now teams are going for three or more. The Warriors start five all-star players. It there any drama about who makes the playoffs? Betcha there’s nothing close to an upset in the 1st round. You can name the last 4-6 teams in the playoffs right now. Can anybody beat the Warriors? The NBA has little drama, but the Globetrotters are entertaining.